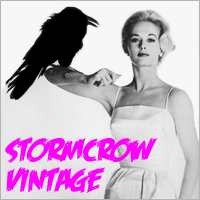 15% Off Everything at StormCrow! Caw! Caw! Stormcrow is at it again with another sale that’s causing shirts to fly of their shelves. 15% off everything in the store from now through Thanksgiving and ending November 29. Check it out here. Sellers – keep sending us your sales and we’ll do our best to plug them.